London is truly a diverse city. There are so many things to explore in this great city that it is hard to choose what to see on your first visit! We suggest The Roof Garden’s, owned by Virgin Limited Edition. This unique garden/club is located above Kensington High Street, 6 stories above! Gander around the 1.5 acre, 3 themed gardens and take a look at the fish and wildlife! Discover the difference between the Spanish Gardens, the Tudor Gardens, and the English Woodland Gardens for free! Visit the 4 flamingos – Splosh, Bill, Pecks, and Ben – in the English Woodland Garden! Sir Richard Branson purchased the club in 1981 when he was refused entry because he was not dressed properly for the club. He closed the gardens for 5 years and gave them a major upgrade to make it the amazing place it is today. For the past couple of years we have been sending groups to London for New Year’s Eve. This tour is 4 nights in 4-star hotels in London for $1876! Part of this package includes ringing in the New Year with a party at this very unique venue! In addition to entry to this exclusive party, we take you to the Hyde Park Christmas Market, on a champagne flight on the London Eye, and to high tea at the historic Grosvenor House! 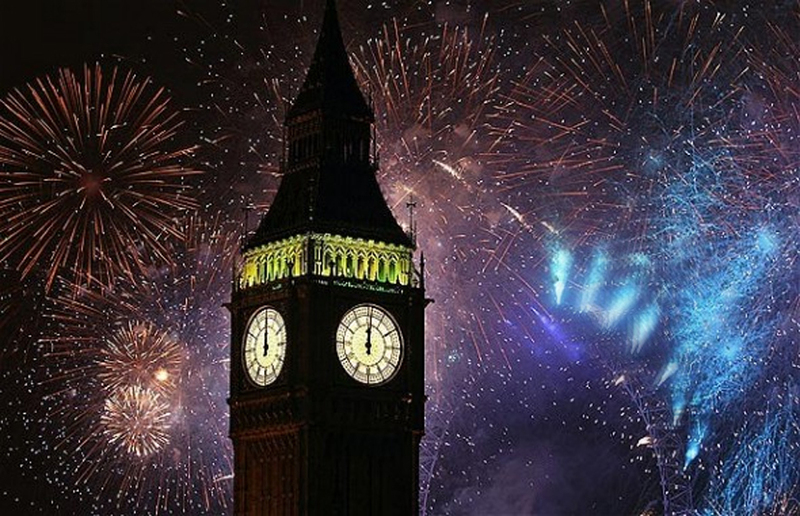 So if you and your friends are looking for something new and different to do this New Years – Join us in London! This entry was posted on Wednesday, October 16th, 2013	at 2:36 pm	. You can follow any responses to this entry through the RSS 2.0	feed. Both comments and pings are currently closed.